The Trump administration is calling back nearly 50,000 federal workers to their jobs — but still without pay. Morale is plunging, and the promise of a government job isn't what it used to be. The shutdown is threatening the streaks of economic growth. 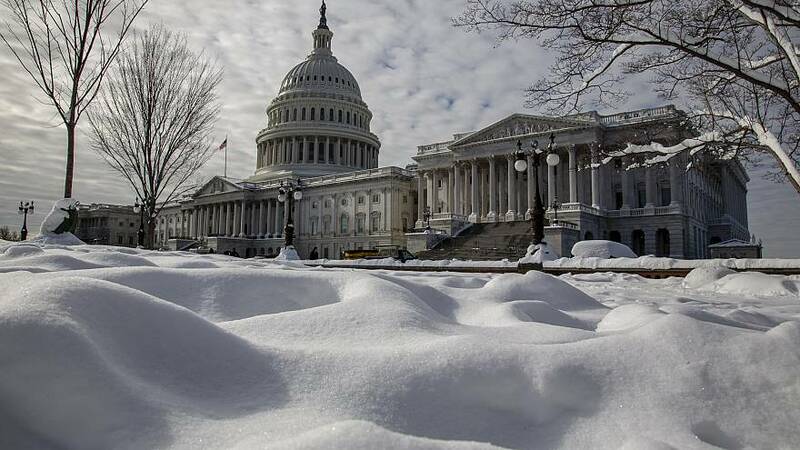 Federal contractors are facing crisis as the shutdown drags into its fourth week. The Des Moines Register is calling on King to resign. Tens of thousands of immigration hearings are being cancelled because of the shutdown. AG nominee William Barr spent yesterday hoping to convince senators that he won't be a Trump loyalist. The New York Times reminds us that Trump and Putin have met five times, but what was said remains a mystery. Some Republicans are breaking ranks to keep sanctions in place on companies controlled by a Putin-allied oligarch. Jonathan Allen writes that Democrats didn't show up to Trump's lunch yesterday "because they were on the menu." Alexandria Ocasio-Cortez is joining a progressive effort to oust more incumbents. The third Women's March is a test for the group, which has been shaken by accusations of anti-Semitism among the ranks of its original organizers. Acting AG Matthew Whitaker will appear before a House committee. Congress will skip next week's planned recess if the shutdown continues. Kirsten Gillibrand, as expected, is forming an exploratory committee. And Gillibrand is putting gender and "pissed off" women at the heart of her campaign. Sherrod Brown is heading on a tour of early states before making a 2020 decision. Stacey Abrams and Andrew Gillum are teaming up as early 2020 kingmakers, POLITICO writes.